These are the books I am currently reading. Beachcombing's Bizarre History Blog Interesting bits of history that don’t always make it into the history books. 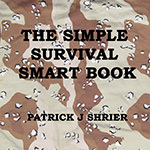 Blog Them Out of the Stone Age Military History Blog from an Ohio State University Prof.
Osprey Publishing One of the best publishers of military and campaign specific Military History Around. 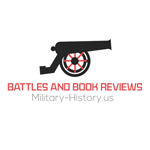 Oxford Bibliographies in Military History A collection of bibliographies on select Military History topics. I also have an article that will be published here. Sites of Memory A site deidcated to showing how different peoples and cultures memorialize war dead. The Armchair General A good blog that touches on some very esoteric aspects of military history.